Remember how excited you were when you got a gold star for good behavior in kindergarten? That really has nothing to do with this post, but it does conjure up some warm and fuzzy feelings. And warm and fuzzy is just how I felt when Getgo Outdoors received a coveted Liebster Award nomination from the venerable Max Wilson over at Lesser Places. Yes! So, what exactly is a Liebster Award? 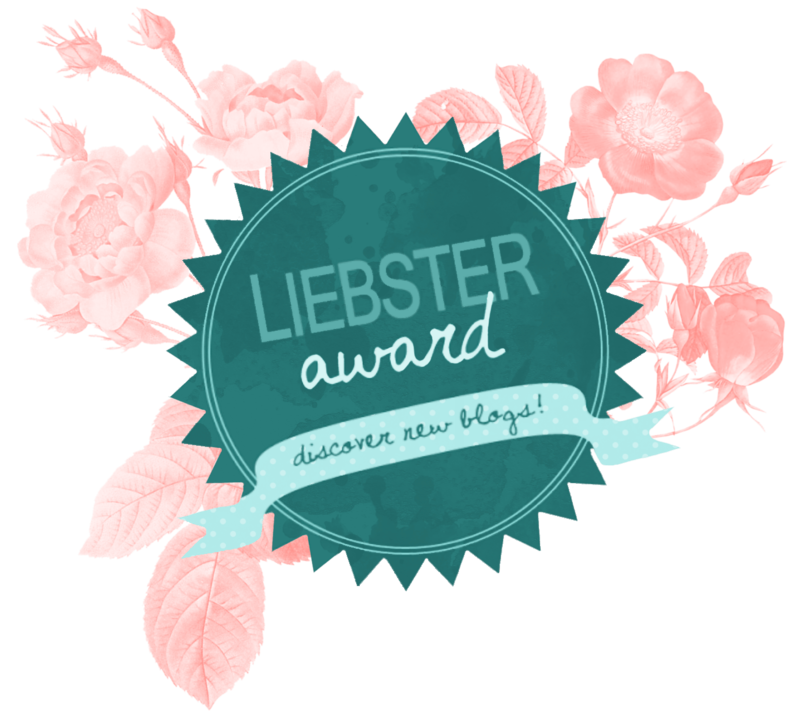 The Liebster Award is handed out to nominees with fewer than 200 followers who display exceptional blogging prowess and hiking skills, or at least that’s how I choose to interpret it. Nominees aren’t required to accept the award when nominated, but if you don’t it means you’re a really, really bad person. Okay, that may be taking it too far, but you should at least feel a little guilty inside. Sort of like when you take the last peanut butter and chocolate chip cookie without asking. Inform the people/blogs that you nominated that they have been nominated for the Liebster award. *Get the official rules here. Fact: Max was hiking the Grand Canyon at the same time I was. Max is a punny and funny storyteller who takes a lighthearted approach to the important and serious topics that concern all of us in the outdoor community. With such alluring post titles as The Arc’teryx Bora Mid one million step review: 514,061 step update and 10 Ways to Make Your Trip Way More Extreme than it Should be, you know you’ll be both informed and entertained every step of the way. If you like adorable, furry creatures, stories of epic backcountry adventures, and lighthearted gear reviews, then give Lesser Places a read. Andrew Skurka is a seasoned backpacker and adventure athlete with more than 30,000 trail miles under his belt. He has thru-hiked every major trail in the lower 48 states, including spending 11 months hiking the 7,775 mile long Sea-to-Sea Route across North America from Quebec to Washington. But the hike for which he is, perhaps, best known was his extreme Alaska-Yukon Expedition, during which he spent 6 months completely alone hiking 4,700 miles in some of the most remote regions of Alaska. Andrew is my go-to resource for everything lightweight backpacking. I don’t know of anyone more qualified to speak on the topics of backcountry skills, gear, and trip preparation than Skurka. His adventures have taken him through some of the most extreme environments around. Not only has he survived them all, but he has excelled at beating the odds by coming back with all his fingers and toes intact, at least as far as I know. It doesn’t matter if you’re a fair weather day hiker or an experienced backpacker, Skurka’s advice and commentary is thorough, well written and has something for everyone. And now that he’s moving into the world of endurance challenges and ultra running, he’s bound to not only become a more well-rounded athlete, but a more well-rounded resource as well. Give Andrew’s site a looksee. It’s like a cache of 24 karat hiking gold hidden in a sea of silver, bronze and tin. A: Liger cubs, of course. It’s pretty much my favorite animal. A: I started Getgo Outdoors for a lot of different reasons, but mostly because I think regulating soda and sugar consumption by grade school kids is only half the answer. Now, Getgo Outdoors! Q: What do I get out of blogging? A: Blogging is a creative outlet, a learning opportunity, an exercise in self-control, and a way of documenting my experiences. I also enjoy the opportunity to share my experiences and knowledge for the benefit of others. There is no greater reward than hearing that you have helped someone out in one way or another. Q: What makes being outside fun for you? A: The feeling of sand between my toes. The sweet smell of sage in the desert and pine in the mountains. The warmth of the sun on a cold morning, and a refreshing rain shower on a hot afternoon. The sound of coyotes howling at sunset and birds of prey screaming in a canyon. I could go on and on, but I won’t bore you. Q: Tell us a funny story about hiking. A: In 2014 I went backpacking in Yosemite with a group of friends who, along with myself, are all afraid of bears. Our first night in we stayed in a remote campground near Cathedral Lakes. The campground had food lockers where we could store our food to keep it safe from critters like marmots and bears. We made the decision that night that we would collectively all take our bear canisters with all our food and smelly stuff to the food lockers together. There’s safety in numbers, we agreed. Before we headed out, we made a last minute check for smelly things. Headlamps went on high and we made our way through the creepy darkness to the food locker 100 yards away. One final pat down at the food locker, then we all made our way back to camp. No sooner than we got back did I realize that I had missed a pack of gum in one of the large cargo pockets in my trekking pants. Convinced I was facing certain death and more frightened than ever, I sucked up my courage and headed off into the darkness alone with my gum in hand. Then, while cursing myself for my oversight, a pair of wide set eyes appeared in the shadows near the food locker. I froze in place. My heart was racing. I was preparing to run. Then the eyes blinked and suddenly went from a foot or two off the ground to eye level with my own. “It’s a bear,” I screamed to myself before turning and hightailing it back to camp. “Eyes. Big, huge eyes reflecting in my headlamp. It’s out there. It’s gotta be a bear. It’s huge.” I was rambling and stricken with sheer panic and fear. There was a bear out there and we were all going to die. We grouped together and lit up the forest with our headlamps. We scanned wildly while preparing for the fight of our lives. The eyes were moving along the edge of the darkness, just beyond the trees, hiding in the shadows. It was getting closer. Then it happened. One of our headlamps suddenly lit it up like daylight as it stepped into a clearing about 50-75 feet from us. My adrenaline was pumping. “Look at that thing,” I yelled, “it’s huge! Wait…” Our eyes were struggling to make out the shape. Then, suddenly it became clear. It had a fuzzy white chest, fluffy tail, skinny legs and antlers. “It’s a deer,” we all said at once. Q: Tell us another funny story about hiking. A: Before the Yosemite trip, we made an overnight trip to the local mountains. We were all still in the process of purchasing new gear, so this was going to be a trial run of sorts. Lot’s of new things to test before our big trip. As we were setting up camp, one of my friends started blowing up his new air mattress. It immediately became clear that the annoying crinkling sound the mattress was making was going to be an issue with one of my other friends. “Dude, does that thing make enough noise?” My annoyed friend said. “It’s not that bad, and it’s just because I’m inflating it. Once it’s fully inflated, it won’t make any noise,” the other said. Needless to say, that wasn’t quite the case. Compounding the problem of the broken silence, was the fact that my friend with the air mattress also snored loudly. And so it went, all night long. I think the only person who got any sleep that night was my legendary snoring friend with the loud mattress. A few of my favorite outdoorsy blogs from around the Internet. Some are newer than others, but what the hell? Check ‘em out! Wandering Biped – passionate ultralight backpacker, and has even started making his own gear. Doris the Explorist – fun loving girl with a passion for the outdoors. Adventures of the Amayas – sharing his passion with everyone, not least of all his son. TamarasCameras – regular posts of furry critters, blooming wildflowers and beautiful landscapes. I’m Over the Hill – great photos of the outdoors and fun stories on a regular basis. This is an opportunity to ponder everything, including your very existence. What’s your favorite thing to photograph or write about? What inspires you to get outdoors? Where do you most like to spend your time when you’re outdoors? Given unlimited time and money, where in the world would you like to hike? Tent or hotel, and why? What’s your favorite non-essential piece of gear to take on a hike? What two pieces of gear you would never hike without, and why? What’s your favorite trail snack or recipe? What is one lesson that you’ve learned while hiking that you will never forget? What is your favorite piece of wisdom to share with others about hiking, photography or blogging? All things being equal, what is your favorite color? Thanks again, Max, for your nomination. This has been a fun experience of self-exploration. And to my nominees, should you choose to accept the nomination, I look forward to learning more about what inspires you.